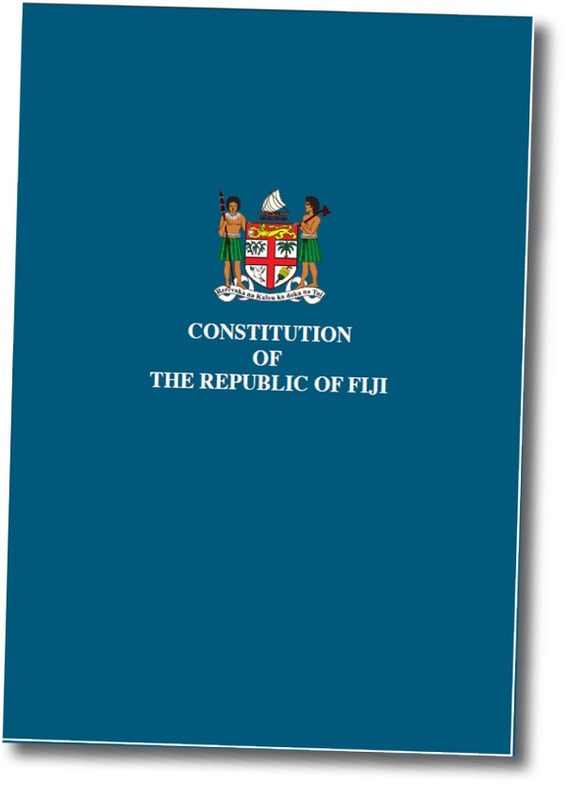 Fiji has made a real statement in the release today of their new Constitution. I would describe their performance (particularly in the last couple of years) with superlatives, and have given the proverbial single finger salute to Australia, New Zealand and those (like Samoa) who are in ANZ’s pocket, agin the Commodore and his actions. The document, like their performance as a country is hard to fault. 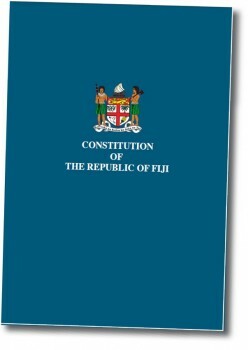 I’ve actually read the Constitution of the Republic of Fiji and am very impressed with Fiji’s progress. The Fijian situation is not as clearcut as many would believe, with media and politicians from within the country and abroad messing with the truth for personal gain. Nothing new here of course! Commodore Frank Bainimarama has run the show in Fiji since his coup in 2006. There’s been quite a bit of noise in some circles about the ‘bad thing’ he did and funnily enough, I believed the gossip enough to take my daughter to Samoa rather than heading back to Fiji for holidays in 2009. I know a lot more about the situation now, primarily thanks to Croz Walsh and Graeme Davis, two bloggers whom I have found to speak reason about Fiji’s politics, rather than shout BS as some have done. For the record I think strong leadership is godly, and democracy is only one form of government – one that always has a bad rap in scriptures. In regards to the wisdom of the coup, the proof of the pudding is more in the final Constitution released than the elections, for the Constitution will determine the form of Fiji’s future more than whoever gains democratic power in 2014. It’s currently hard to see Frank not being returned to power but anything can happen, especially if people from outside can influence the local scene. He’s done a good job at stiffling intereferrence and negative talk. The biggest losers are the Council of High Chiefs, the trade unions and the church. The Chiefs have used the ‘race card’ to retain power for years and one-person, one-vote has effectively killed off their lein on power. The Trade Unions have been put in their place with a thump, having too lost a lot of leverage. The church now has to accept that Fiji is a secular state and legislating God-stuff is now limited to shouting from the pulpit to the sheeple their flock. Legislating a country to be Christian can never work, despite the best intentions. Christ came to seek and save the lost available through faith, not to secure political power or enforced adherence to a particular doctrine. Samoa should take heed! The biggest winners are the Indo-Fijians, the small people and common sense. Gaining status under the Constitution as ‘Fijians’ is a massive leveller for an entire class of people previously the subject of severe racism. It won’t stop the rot entirely and they are also known for breeding opportunists themselves, but it gives them a chance to be ‘almost’ equal. Feedback I can see is that most people are VERY happy with their lot under the Bainimarama government and that while they still have poverty and corruption to some extent, many have a smile on their dial and a degree of hope, where they didn’t before. There is increased clarity around traditional land ownership issues and a raft of cultural matters. This bodes well for Fiji’s future. Introducing an Accountability and Transparency Commission and a Code of Conduct, likewise makes for good governance. Frank Bainimarama has flushed out people who were hiding behind power. Australia and New Zealand have been given a right-royal spanking for their patronising arrogance. Looking North has worked well for Fiji and while it is a small country it is much stronger for having to go it alone. Samoa’s own Tuila’epa has and will have more serious egg on his face for bagging Frank so hard, for his own political gain. Fiji to be quite honest probably doesn’t give too hoots about Samoa, looking at it like an ‘also-ran’. The feeling is probably mutual although this is pretty much foolishness on the part of Samoa if they want to develop tourism for Fiji should be a tourism partner, not a competitor. Despite a barrage of noise from Frank’s opposition and a propensity from the leader to be a little gun-shy at times, the PM’s willingness to listen and show inclusiveness in the development of the Constitution was in my opinion a highlight. In a very difficult circumstance he knew what he wanted, worked with a lot of different people over a long time and achieved something pretty solid. Kudos to a man who knows what he wants, sets the vision out clearly and never gives up! Don’t make a mess of it now . . . ! Look how the tumors of ‘the financial sector’ are metastasizing, with their ‘bonusses’, ‘derivatives’, LIBOR manipulation, asset bubbles, defaults, bribing politicians, evictions and repossessions, Gold manipulation, media power, globalism, bail outs, bail ins, fomenting of wars. It is all an outgrowth of the cancer of Usury. Definitely a genuine constitution with those old political pigs still rejecting it for their own gain but whether they dislike it or hate it this constitution is here to stay. Thank you for your comment – I appreciate that you would bother to write and I’m glad that you are happy with the new Constitution. Your aggression towards the ‘old guard’ may be understandable but is probably a little too strongly worded for this blog. I think that people with agendas and self-interest are best shown to be who they truly are with reason and respect. It’s much easier to siply write off those with foul language.